A few years ago, Brad Cowan made the switch from dealing with sets of wheels to wet basements. However, it was a natural transition for the 52-year-old Cowan, who in 2015 retired from his position as a Corporate Vice President in the Insurance Replacement Division of Enterprise Rent-A-Car to become Senior Vice President of Business Development with Paul Davis, the one-stop disaster and reconstruction franchisor based in Jacksonville, Florida. While one business deals with moving vehicles and the other with stationary buildings, Cowan found many similarities that dovetailed with the business experience he earned during a 24-year career at Enterprise Rent-A-Car, where Cowan started as a manager trainee in a rental branch fresh out of college in 1991. 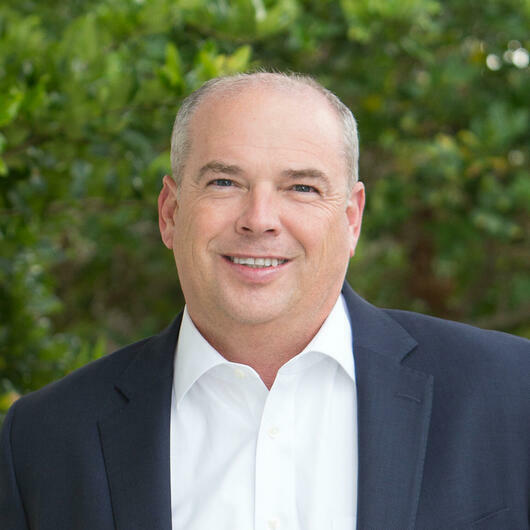 In his role as a Corporate Vice President at Enterprise, Cowan worked closely with insurance companies and body shops to support customers during the auto claims process. Likewise, Cowan now oversees Paul Davis' national business partnerships, as well as the national business development team, while also developing new programs for the Paul Davis Network. With more than 375 locations in the US and Canada, Paul Davis is continually growing with a business model that Cowan said is very similar in scope to what he experienced at Enterprise Rent-A-Car. "The rapid growth here feels like Enterprise did 25 years ago when I first started there," Cowan said. While always looking for qualified franchise candidates, Paul Davis is also expanding its geographic footprint of company-owned territories, recently completing two acquisitions, one in Kentucky and the other in Seattle. The first provides additional service coverage and capabilities between the Eastern and Midwest regions of Paul Davis company-owned operations, while the acquisition of the Seattle franchise adds a presence in another major metropolitan market which will serve as the foundation for a new regional platform on the West Coast. "Paul Davis and the property industry are in a growth mode and we are in a great position to support our customers and provide opportunities for great people," Cowan said. "Our decision to build a network of company-owned locations illustrates our dedication to providing additional support to our clients and expanding our brand. As we continue to grow, we are always looking for A-grade players who will provide great service to our customers and who want to be part of a dynamic and growing industry. It will be real win for everyone working along with our network of experienced franchisees out there." For more than 50 years, Paul Davis Restoration has restored residential and commercial properties damaged by fire, water, mold, storms and disasters. The experts at Paul Davis understand the complex process of recovering from property damage and provide complete services; there is no need for the expense and confusion of hiring multiple contractors. Paul Davis is a one-stop shop for disaster damage and restoration. Paul Davis Restoration has more than 375 independently owned franchises in the USA and Canada. The professionals at Paul Davis are certified in emergency restoration, reconstruction and remodeling. This page is an archive of recent entries in the Blogging category. Books is the next category. Is Your Website Selling Franchises? What's New in Franchisor Partnerships?